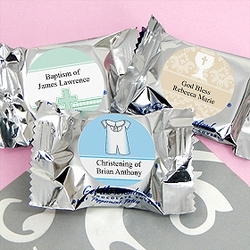 Our Christening/Baptism Personalized York Peppermint Patties are a cool, and refreshingly SWEET Edible Chocolate Party Favor! Nothing is more delicious than the soothing sensation of peppermint drenched in decadent dark chocolate. 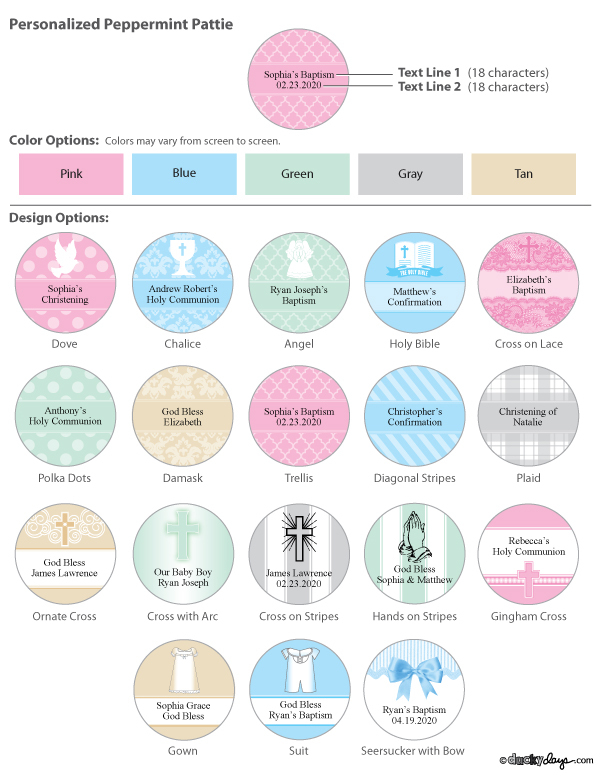 These Christening / Baptism Peppermint Patties are a perfectly sized yummy treat that can be personalized just for your special day!